6 steps that can show you how to lower your janitorial supply costs..
Every business should have one question in mind, how do we increase revenue? Most would say we need to increase our sales, but that’s only half of the equation. The other half is the reducing expenses that the business has. What expenses would be the best to lower? Your janitorial section is a great place to start; this doesn’t mean firing people or using a cheaper product. Instead, the following 6 suggestions will lower the costs of your janitorial needs. If you have a facility with 7,000 square feet or more, an auto scrubber can save you more than 3 quarters of your labor cost to maintain that area. When used properly an auto scrubber can do a 7,000-10,000 square foot area within an hour, compared to taking an employee up to 3-4 hours to mop this size of an area. This method is not only cost effective, but a much more sanitary way of cleaning the floors compared to traditional mopping. Unlike traditional mopping an auto scrubber doesn’t reuse the water that was used to clean the floors, thus preventing any chance of spreading the bacteria and soil across the floor instead of picking them up. When you choose an auto scrubber for your facility, will need to be aware of a few things. The first is the size. The machine should be able to fit within all of your hallways. If the machine doesn’t fit into a room, its not going to help you clean the room. The other is the ease of cleaning the machine. The process and should be training as simple as possible to avoid frustrating your employees with the complexity of the equipment. We have all heard and seen that bulk purchases can save businesses money. It’s no different in your janitorial department; purchasing 5 gallon pails instead of cases of product will be cheaper and more Eco-friendly. The challenge is having the space and initial investment to make these purchases. When using diluted products, the best option to save money is to use a dilution control system. Using these automated systems remove any concern of having the wrong dilution ratios. Wasting chemicals will be a thing of the past, and you wont spend labor money having an employee mixing the chemicals. A business always has to be aware of its resources, their experiences and labor. It will never be cost efficient to overstock a product or service, but it can also be detrimental if you have a contracted job and don’t have the resources. Work loading can be used to solve both of these problems by obtaining standard times and amounts of chemicals for potential jobs. Your company can then use this information to allocate and prepare the proper amounts of labor and chemicals for each job. These predictions may not always be completely accurate due to human error, so always plan to need a little more then your predictions to keep the job on time and the customers happy. Every company is looking to increase revenue and the best option isn’t always to increase sales, but to look at the expenses of your company. Remember, there are many ways to increase revenue, but going cheap on quality isn’t the one you want to choose. When people look at the sales of a company, most will only look at the amount of customers they service. That only equates to half of the business equation. The other half is your employees. If the employees of a company aren’t feeling appreciated or are unhappy, the production and quality will decline. The worst thing that can happen to a company isn’t an unappreciated customer, but instead an unappreciated employee. This can cause tremendous problems for a company, because unappreciated employees doesn’t equate to one mistreated customer, but possibly hundreds of dissatisfied customers. There always needs to be a strong line of communication between all channels of a business. One of the hardest obstacles to overcome is when an employee is given minimal information about a project, but expected to complete it in its entirety or when a manager asks the information about a current project and gets no feedback. Nobody is going to agree on everything that is being done in a company, but there needs to be a clear and decisive goal for a company’s objectives. This allows the employees to remain focused on expanding and developing the company. These ideas need to be communicated to each employee so they know the true purpose of the company. Companies, no matter how big or small, require teamwork. Without it, a company can’t grow to its full potential. The question is, what is the best way to promote teamwork within a company? There are many different ways to promote these ideas, such as going to team building exercises that create trust between the employees, another could be holding company parties to promote friendship. The main goal is to help your employees feel like they aren’t working just for a paycheck, but to see the company flourish from the work that each employee does. This is the main driving force for all employees, so how do we keep high morale? Through gratification, compensation, and fun! Gratification can be as simple as telling someone they did a great job last week, or putting up an employee of the month photo each month of someone who went above and beyond. Compensation is typically in the form of pay, but it doesn’t have to be. You can give incentives to employees to motivate them to the victory. An example might be, if we meet a quota of getting 7 percent more revenue next quarter, the company will purchase an entertainment piece, such as a Flyboard or Jet-skies for company events. Through it all, the company needs to have fun. No one wants to work all day without any play. This can also be celebrating birthdays, celebrating holidays or even having gatherings on non-work days to say “thanks” to your employees and what they have done for you. While the customers are a big part of a company, the employees are equally important. They are the oil to the motor of the corporation’s gears. They are the ones who produce the sales and retain the customers. Just like if you don’t take care of customers, if you don’t take care of your employees then your business will never succeed. So remember to communicate the ideals of your company, perform team building exercises and don’t forget to schedule time for Fun! When it comes to retail stores, companies and researchers have been aware that two big factors affect purchasing – lighting and music. But recent studies have suggested there’s a third subconscious way of affecting shoppers moods – the smell or scent dispensed through out your store. To explain this, we must look at how the human body processes information, which can be divided into two parts the subconscious and conscious mind. In the conscious state, you’re actively thinking about something and are fully aware of your decisions, such as deciding on what fragrance you would like to buy for your store. The subconscious part of your mind is all the little things your body processes constantly without you even knowing it. Its been known that the subconscious mind processes the soft lighting or music playing in the background and influences the customers’ feelings, causing them to stay longer or leave earlier. With this knowledge, is it so hard to believe that the smell of a store can affect your customers subconsciously? According to studies done at the Washington State University, the answer to this question is scent most definitely affects purchasing behavior. The question then becomes, what are the best scents to entice customers to buy more. Could it be a complex, but desirable scent, or is it a more basic smell that is simple to process? Perhaps these smells are just distracting the customer from their purchasing decisions and causing a loss in sales. Washington State’s experiments found that the correct choice to be simple smells that are easy to process. During their study, they observed the buying habits of 400 customers. A third of the customers went into a store with no scent, a third experienced a desirable scent through out the store, of orange-basil mixed with green tea, and the last group was exposed to a simple orange scent while shopping throughout the store. On average, the customers exposed to the simple orange scent spent 20% more compared to the other two groups. The reason behind this, is customers desire a stimulation to start the buying process, hence the use of the simple smell. A complicated scent will overwhelm and burden the buyers’ ability to consciously process the products which they are attempting to buy, causing them to buy less. Even though we may think the most elegant scents are best for our stores, often, it’s the simpler ones that are better for our customers, thus, best for our business. The New Year of 2015 is coming, and the Millennials, people born between 1980 and the early 2000’s, are starting to become the main consumers, which is exponentially moving businesses into the era of Social Media. The era where one mistake can mean the loss of hundreds of customers for your business. The era that has created the fastest form of word of mouth marketing to date, and its through the many forms of social media that are available in today’s age such as “Yelp”, “Twitter” and “Facebook”. This means that we as businesses have to be on our top notch game at all times to not fall into these potential losses. According to Keep Your Customers’ Online Reputations Clean by Dave Mesko there are a few main areas of your business that you can make or break a customer from posting good or bad feed back about your company. One of the top things that needs to be done, is making sure the floors are clean and don’t have stains or messes. The main places this comes into effect is high traffic areas such as restaurants, where you have hundreds of people coming in and out of your facility with minimal time to clean between arrivals. These places have to be quick on their feet and can’t afford to leave slippery floors. This means that traditional moping may not be the best option for these companies. The alternative to this would be NexGen Bucket-less microfiber moping, which will keep the excess water and chemical off of the floor. NexGen Bucket-less Microfiber mops are also much better at picking up the spill. As compared to the dirt dilution system, that we find with traditional mopping. The next place and by far the most important place to have looking nice is the restrooms According to a recent survey by Harris Interactive for SCA Tissue North America 50% of people who go to restaurants would speak negatively about the restaurant if they encounter a dirty restroom. As well, 3 in every 10 customers surveyed said they would never return to that restaurant, which can be extremely costly to your business. The solution isn’t just a matter of having clean floors and counters, but as well the restroom fixtures need to be clean and there needs to be toilet paper and paper towels readily available in all stalls and at all counters. The most effective way to keep these problems from happening is have scheduled cleaning times and Jumbo toilet tissue dispensers. This will allow more time in between changes without the fear of running out and ensure that the restrooms get adequate cleaning through out the entire day. The next step is to have scheduled deep cleaning sessions to remove any odors and soil that may not be removed by an ordinary mop. 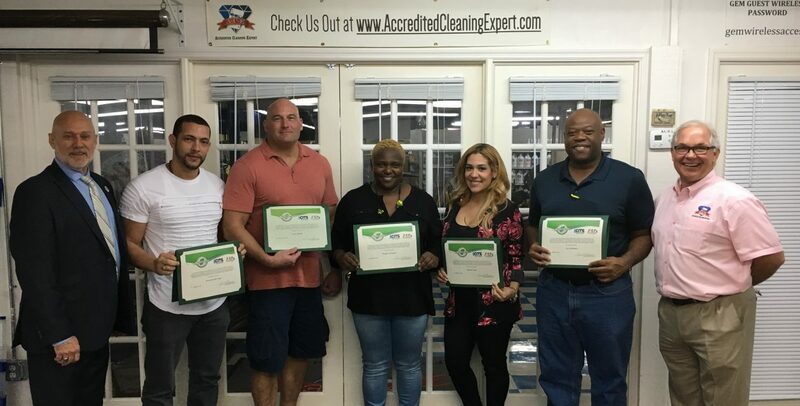 Employees need to be trained on the process of cleaning a facility, and not wiping down a toilet and then a counter or a table with the same cloth. The following link to “Training can Help Prevent Cross-Contamination” has more information about the best steps for preventing this from happening. No matter what business you are in you will need customers to survive, and if you don’t keep your facility clean customers will spread negative thoughts about your company faster than ever. So, whether you’re using in house or contracted cleaning, appropriate equipment and training on the proper procedures for cleaning through out your custodial staff is necessary to keep your facility and social media clean of these problems. When choosing a set of vacuums for a company what’s the most important part? Is it the mobility, the productivity it provides, or maybe the price is the most important factor to you? What if all of these were available within the growing market of vacuums? Well there is and the answer is backpack vacuums, these vacuums have the potential to be 70 percent more efficient, with a wide range of mobility and the overall cost of repairs and the life value is estimated to be 90 percent less costly. When comparing a traditional upright to a backpack vacuum the first thing you can look at is the mobility and productivity that you gain. This can be seen the best within larger facilities especially with multiple stories. The reasoning is you don’t have to stop when you finish on the first floor to go up you can just continue cleaning as you travel up the stairwell. Taking a school for example, you can start in a classroom, were you can get beneath all of the decks without needing to move any of the furniture, and then move directly to the next room or into the stairwell and onto the next floor. This shows a big problem with traditional uprights, which is they are to big to fit under a desk or chair, so your required to move the furniture around the room taking up more time. Uprights have a very difficult time in stairwells as well due to their weight and mobility is not optimal unlike the backpack vacuums that are out of the way while you clean and all you have to worry about is the pump allowing you to travel up and down stairs with ease. Backpack vacuums can save your company a lot of money with their expected 8 year life time compared to traditional vacuums that have a 3-4 year life time. According to Michael Jones from The Columbia Public School District will reduce overall repair costs by 90 percent. The challenge of implementing backpack vacuums over traditional uprights is that custodians are used to and are more comfortable with their traditional vacuums. The way that you can overcome this is by personalizing the idea to your employees allow them to test out the equipment and make sure that they are on board before making a mass change. In the end to have anything be effective you have to have your employees in agreeance with your decision for it to work. What is the true goal of a company? Is it to obtain quick sales or achieve long lasting relationships with your clients? To answer this lets look at the facts first, according to Return on Behavior magazine. You have a 60-70% chance to obtain a sale from a returning clients compared to a 5-20% chance from a new client. It costs 6 times more to gain a new client compared to retaining a returning one. Only 4% of dissatisfied clients will speak out. Price isn’t the main reason someone changes from a brand or product, it is typically because of bad client service. These are just a couple of the many facts about client habits and why it is extremely important to focus on retaining clients rather than obtaining new clients to your business. A great example of doing this is explained in “From the Jewelry Counter to the Janitor’s Closet” by Leah Waldrop, where she explains a story of a man going to multiple different Jewelry stores to get a pair of earings for his female companion the only downside was he didn’t know anything about earings. During the story he had told every sales representative to see their earings and explained that he didn’t know anything about them. The representatives proceeded to show him the earings, but that was all before returning to their work. Finally one representative started asking questions about his companion to try and better help the man and after getting enough information to make a mental image of the companion. The lady then made a suggestion to the man and reassured him that his companion were going to love them. The man respecting her choice, because of the amount of time and depth of her care for his well being, the man proceeded to buy the earings, which his companion loved and wore almost every time he saw her. This story shows a lot of different elements of selling a product, the first is you need to listen to your clients. If you look back into the story, you will notice only one representative listened and acted on what the client was saying, which was that he didn’t know much about earings. Even more importantly the last place he visited was the only place that asked him further questions, which means it was possible for any of these companies to get this sale, but only one acted on it. This isn’t limited to just Jewelry shops, but all forms of businesses. When you look at janitorial supply companies or custodial cleaning companies for instance your clients won’t usually know what they actually need for a job or how much product. This is why you need employees to be informed in how to answer these questions, and be willing to ask additional questions such as, what type of floor are you using this sealer on or what are you planning on cleaning, and not just point the client in the direction of those products and essentially say “good luck”. If your employees go through these questions with the clients it will give them a better perspective of the products that will be right for the clients goal. Making their overall purchase a positive experience instead of a potentially negative one. This leads into the fact that a good sale leads to a much higher chance to getting that client to come back and purchase again. Getting more sales is just the tip of the iceberg for why you should help clients when their in need of assistance of choosing a product. It has been found that if a client gets a problem resolved they will proceed to tell 4-6 people about the experience they had. This in turn creates word of mouth advertising, which is the best form advertisement for any company, due to people trusting their friends more than any other form of advertising. So remember to help your clients through their problems, because they will help your company survive. Using a microfiber cloth compared to a cotton cloth doesn’t mean that all of the bacteria and soil will be removed from a surface. While they are much more effective then cotton cloths as I have explained in “Reasons to Change to Microfiber Mops“. You still cant use them for an entire facility without changing them like any other cloth. If The cloths are not changed then you could potentially be trying to clean with a dirty cloth. Which is not only ineffective at picking up soil and bacteria, but can actually spread it from one area of a facility to another. A good example of this is if you clean a bathroom with a dirty cloth, and then proceed to clean a preparation table within the same restaurant you will be bringing the excess soil and bacteria from the bathroom and leaving it on the prep table. This shows the importance of getting your custodians the proper training for the use of cleaning cloths. As Guspiel says “We want them to know that they play a role in reducing infections, and that’s a big deal to the hospital as a whole.” Even though Guspiel works for a hospital these principles can be applied to all types of facilities not just hospitals. The first step of training is to know how to get the most cleaning out of your cloths, which can be down by folding the cloth in half and in half again to acquire 8 sides of fresh, uncontaminated cleaning. A cloth can than be used to clean a full room before it should be discarded into the soiled bucket and a new cloth be used in the next room. Another helpful tip is color coding your microfiber cloths to help with the prevention of using cloths that are prepared for any specific area of a facility with any other sections of the facility. This could be as simple as using a yellow Cloth within your bathrooms, a blue cloth in your cafeteria areas and in your offices using a green cloth. This will not only help in preventing the spread of bacteria and soil from these different areas, but also to prevent the use of the wrong chemical in each of your different departments within your facility. When it comes to the prevention of the spread of diseases the custodians are the first line and last line of defense. With 80 percent of infections being caused through direct contact there won’t be anything stopping these bacteria if the custodians aren’t equipped with the right tools. This doesn’t mean having to buy thousands of dollars worth of heavy duty equipment for your facility, but instead just to make sure not to cut corners on the cheaper things that you need to clean and disinfect your facility. So do you want to be in a facility were the bacteria and soil is being spread around by cotton cloths or to ensure that the soil and bacteria is getting picked up through the use of Microfiber Cloths? When cleaning with traditional cotton rags in most situations you will be picking up a good majority of bacteria, but this is only half the battle when it comes to cleaning and disinfecting. The true challenge is not to just remove the bacteria from a surface, but the soils from the surface as well to give the disinfecting chemicals a fighting chance according to Darrel Hicks, author of Infection Prevention for Dummies. Cotton rags while cheap and readily available, are not particularly good at picking up these soils off of surfaces which is one of the problems of using cotton rags. Microfiber cloths on the other hand work by gently scrapping against the surface to help pull the soil and bacteria off of the surface. They then use their engineered pockets within their fabric to collect and trap the soil until the cloths are washed to prevent from spreading it across the surface. Making them extremely effective in preparing a surface to be disinfected. Another problem that cotton cloths have is when you are using quat-based disinfectants. The cloths can have a strong attraction with the active ingredients in these quat disinfectants, which causes the cloths to spread the soil and bacteria rather than picking it up off the surface. At The University of Minnesota Medical Center they tested the efficiency of both cloth and microfiber cloths, which led their decision to switch to microfiber. The University found that Microfiber cloths will pick up spores and microorganisms even if you don’t use disinfectants were as cotton will just spread them across the surface. As well according to Amanda Guspiel, environmental infection preventionist since using these microfiber cloths they have not had any issues with quat binding that can occur with cotton rags. Through changing to microfiber Guspiel has had a decrease in the number of Hospital acquired infections. Cleaning equipment have been revolutionizing the contract cleaning industries, by making it much easier to get restrooms to a higher level of clean than traditional methods of cleaning. The equipment uses water pressure to clean restroom floors and surfaces, allowing the operator to get into a room’s nooks and crannies. Once finished, the machine retracts the dirty water with a vacuum. Cleaning with chemicals can create negative thoughts with your clients that you are just hiding the dirt not cleaning it. Cleaning equipment allows you to move away from these thoughts by not requiring chemicals like old systems did, such as mop and bucket cleaning. When moping any germs that don’t stick to the mop are going to stay in the grout and on the tile. Cleaning equipment prevents this by spraying the area with high pressure water and then imminently sucking it up into the attached vacuum. Using Machine cleaning eliminates worrying about needing to wash the mops after every job or your employees neglecting to laundry the mops and proceeding to spread the germs it picked up in the previous job back onto the floors. Maintenance crews using dirty mops displays a negative image to any clients and other faculty that they don’t care about their cleaning equipment. “It’s not professional and it shows you are not at the top of your game,” Bard from JANCOA says. There are many benefits to using Cleaning equipment, for one it allows you to know that germs aren’t being left behind from using a dirty mop. Another is when you are cleaning the floor your using little to no chemical. This not only removes the idea that you are just covering up the bacteria, but that you are be environmentally friendly while preforming your cleaning too. Knowing that you want to change from traditional ways of cleaning to Cleaning machines is only half the battle. After making this decision you have to know how big of a cleaning machine you need for the facility. A machine that is to large will be difficult maneuver and get in the small nooks and crannies of the bathroom, While one that is to small can take excessive amounts of time to clean larger bathrooms. Cleaning potential shouldn’t be the only concern as well as were will this machine be stored and do you have the room for a huge cleaning machine? Other questions should also arise, like how big is your budget for cleaning, and if you have the budget to train an employee on using an expensive cleaning machine? These are questions that companies such as Gem Supply can help you solve, with onsite training and professionals that can help determine the size of machine you will need for your facility.